Are you tired of going to all the main tourist attractions while traveling abroad? 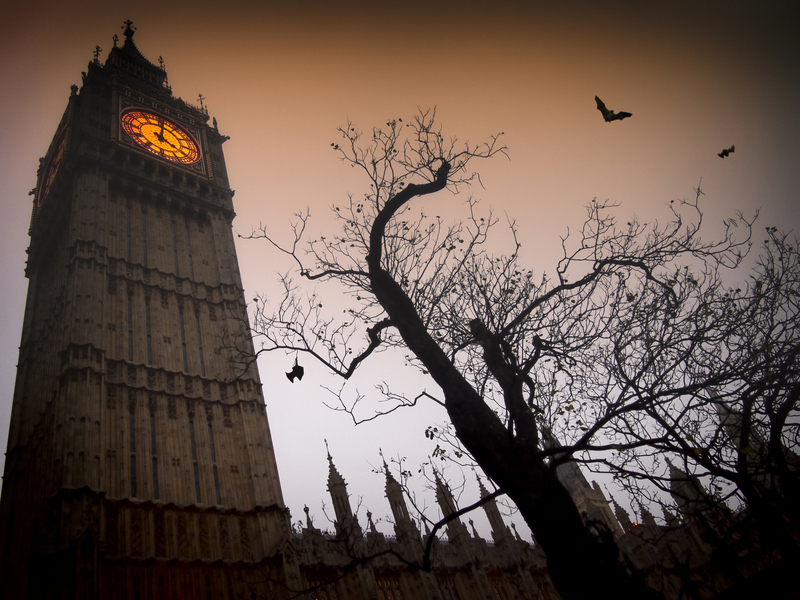 Since it is Halloween, we decided to bring some of the darker sides of the amazing cities you will visit on our tours to light! Europe has a lot of history so it is no surprise that there are many sinister things to discover while traveling abroad. In London, you have walked around Buckingham Palace, seen Big Ben, and taken the London Eye, now what? You could wander around Whitechapel looking for Jack the Ripper or you can go to West Norwood Cemetery and tour their catacombs. West Norwood Cemetery, one of the ‘Magnificent Seven’, was created in 1837 to help alleviate the overcrowding of the small parish burial grounds. The catacombs located here include a hydraulic lift to transport the coffins. Once you have climbed the Eiffel Tower, visited Mona Lisa at the Louvre, and toured Notre Dame, go explore the darker side of Paris! 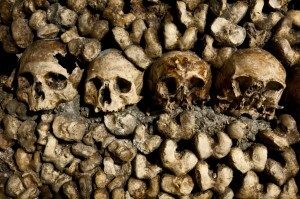 Paris is also famous for its catacombs! For €3 you can visit hundreds of years of history below romantic Paris. 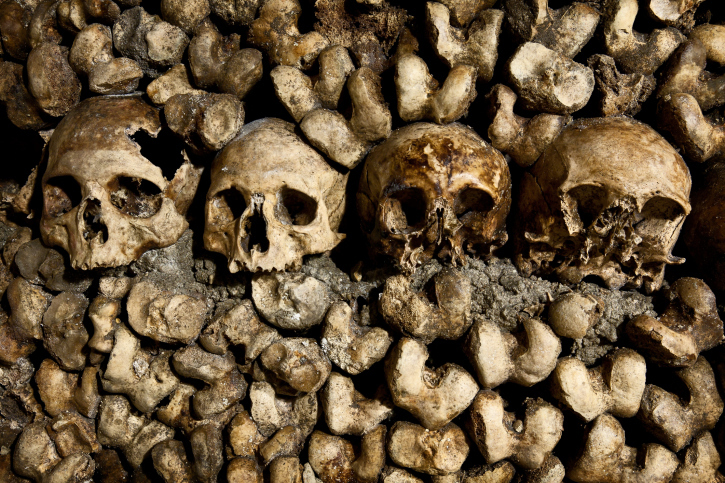 With more than 6 million people buried in the catacombs, you’ll be sure to find something interesting! Go explore the creepiness underneath the City of Lights, just don’t wander off or else you could be fined! After you’ve explored Vatican City, the Roman Forum, and the Colosseum visit Santa Maria Della Concezione dei Cappuccini in Rome. Located next to the Barberini metro stop and down the street from the US Embassy, Santa Maria looks like a plain old church on the outside but once you get inside. For €6, you can tour the bone church! Bone church? Yes, you read that right! You aren’t allowed to take pictures inside (yes, I got in trouble) so take a look for yourself when you’re in Rome! 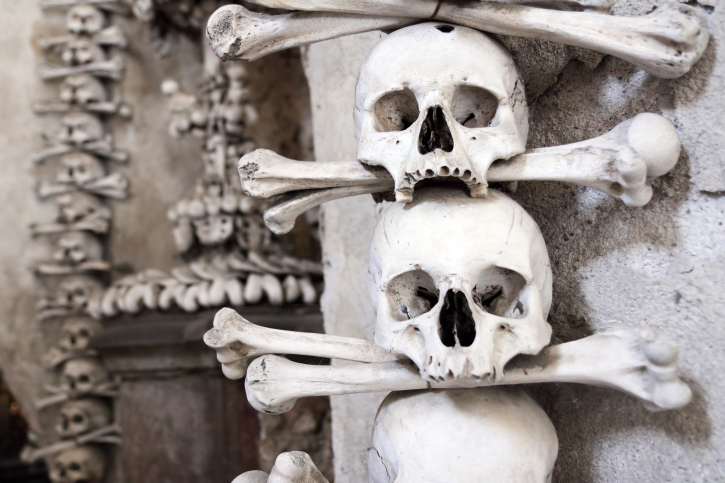 So when you plan your next European adventure, be sure to include a slightly morbid trip to an off-the-beaten-tourist-track attraction! Happy Halloween! This entry was posted on Thursday, October 31st, 2013	at 12:26 pm	. You can follow any responses to this entry through the RSS 2.0	feed. Both comments and pings are currently closed.